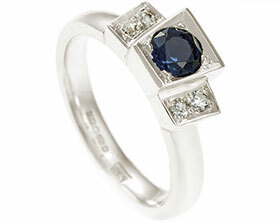 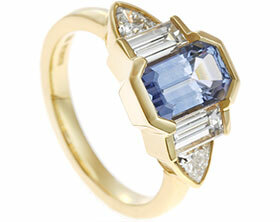 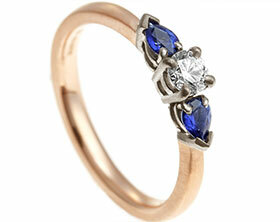 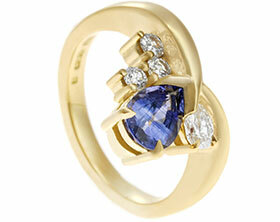 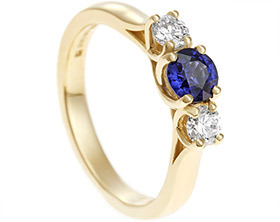 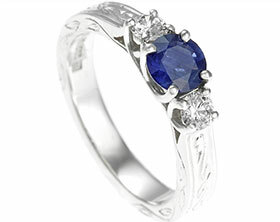 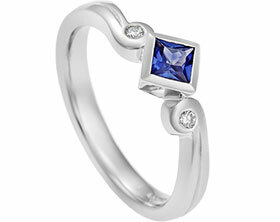 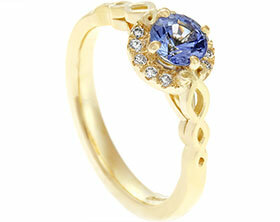 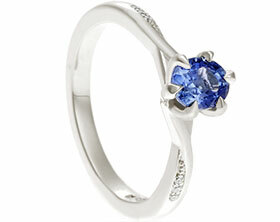 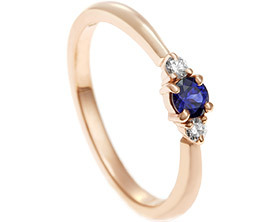 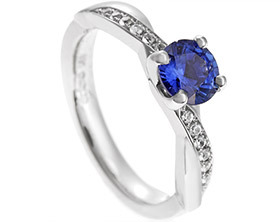 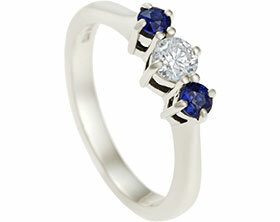 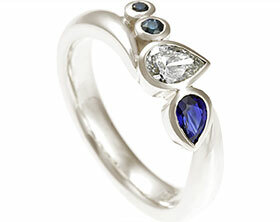 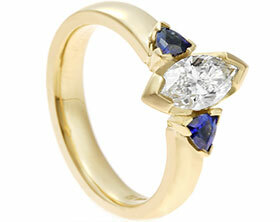 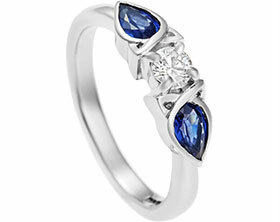 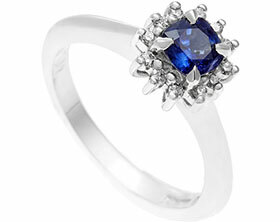 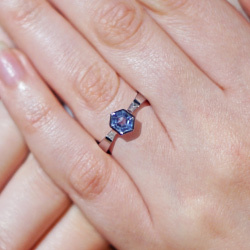 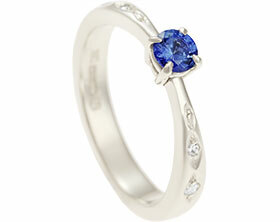 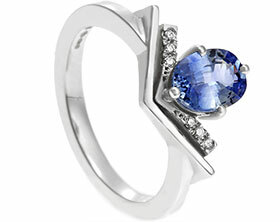 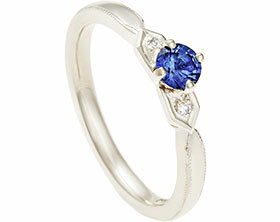 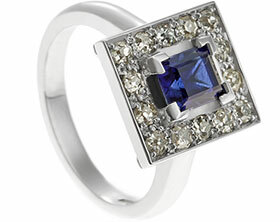 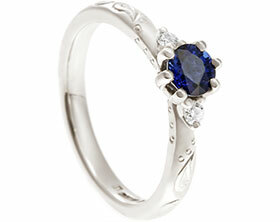 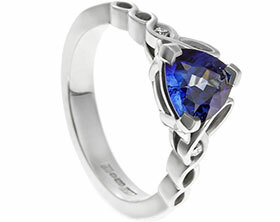 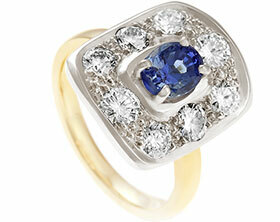 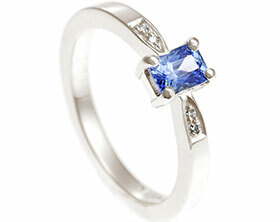 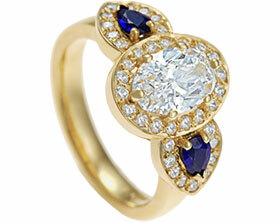 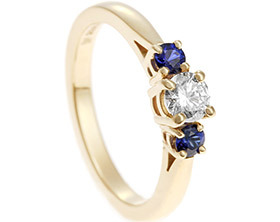 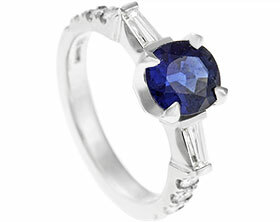 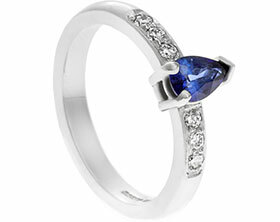 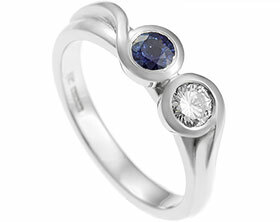 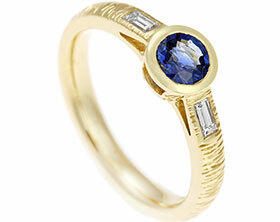 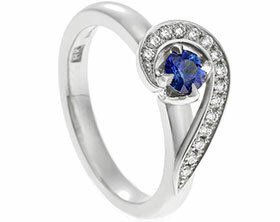 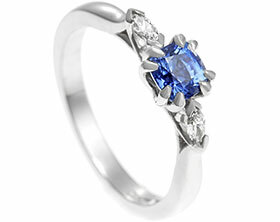 The focal point of this unique Art Deco style engagement ring is its rare hexagonal shaped 0.95 carat 5.25mm cornflower blue sapphire which has been placed in an all around setting. 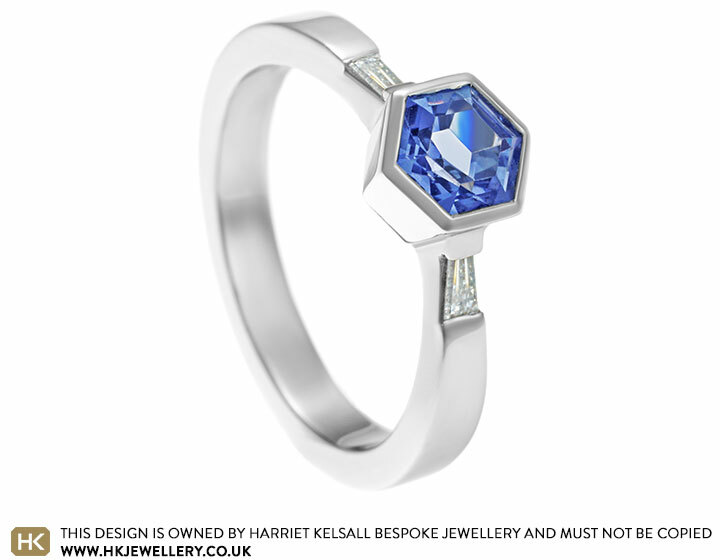 The precious metal used is recycled palladium - a great ethical choice - and the crisp white colour of this palladium complements the clean lines and the bright sparkle of two tapered H SI baguette cut diamonds, totalling 0.10 carats. 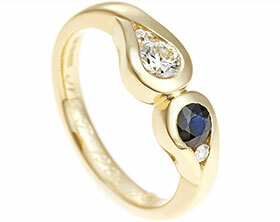 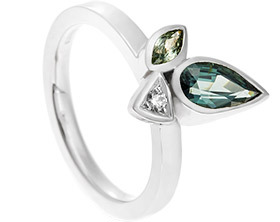 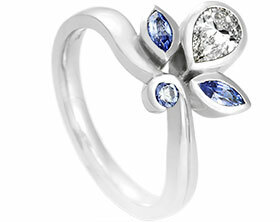 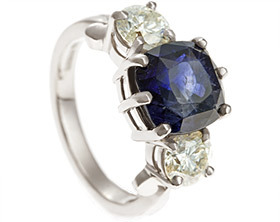 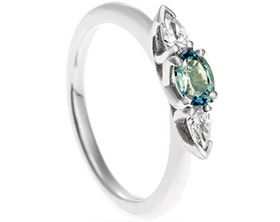 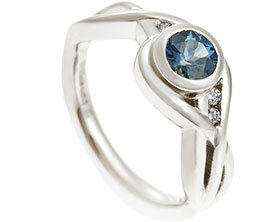 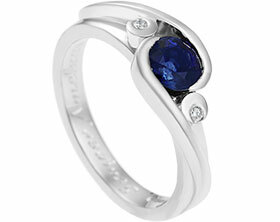 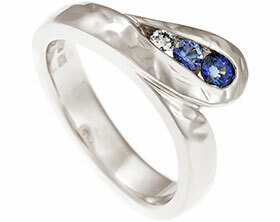 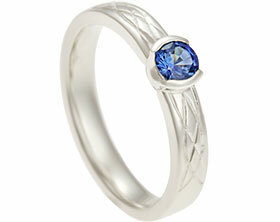 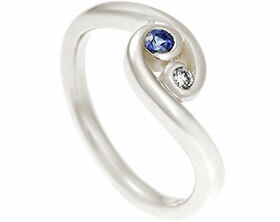 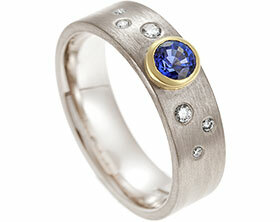 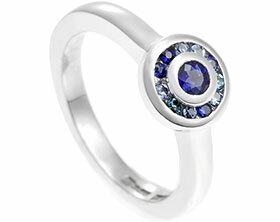 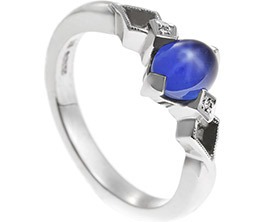 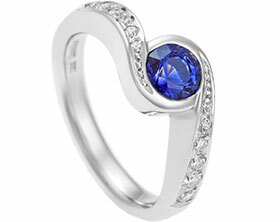 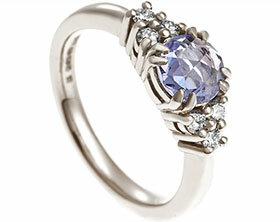 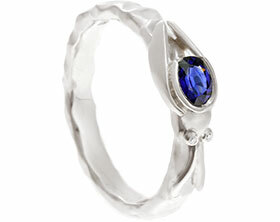 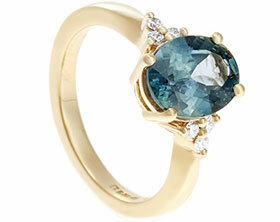 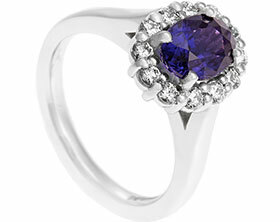 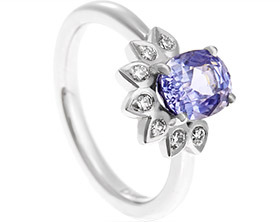 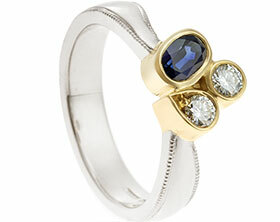 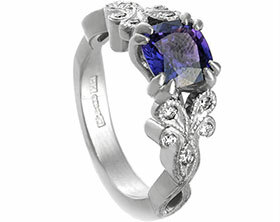 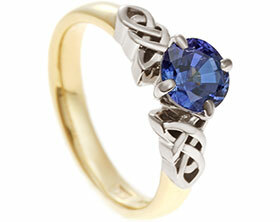 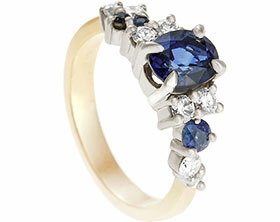 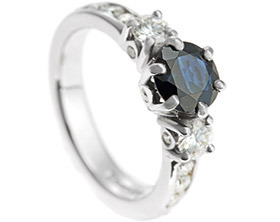 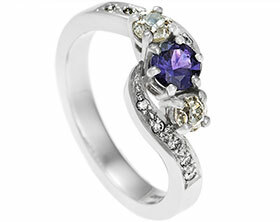 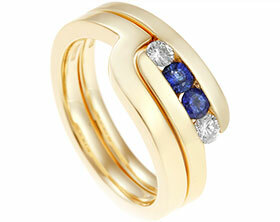 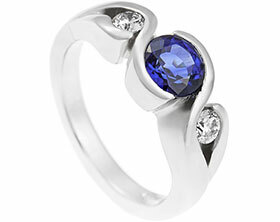 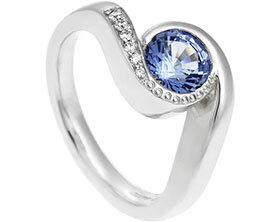 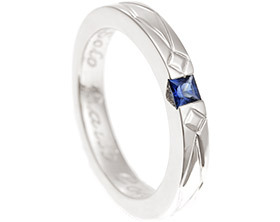 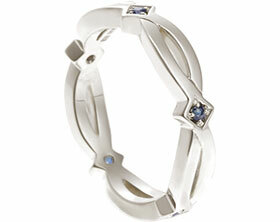 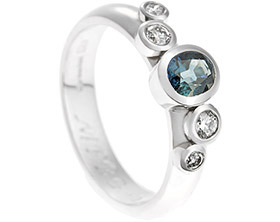 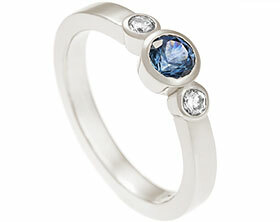 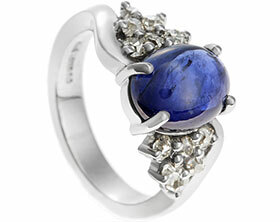 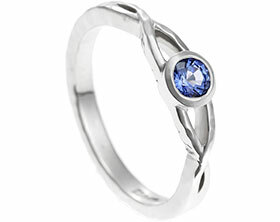 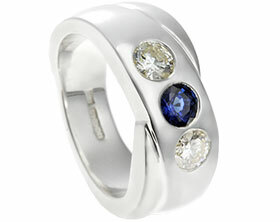 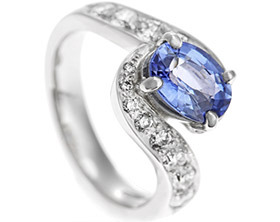 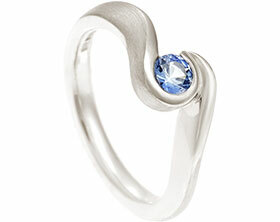 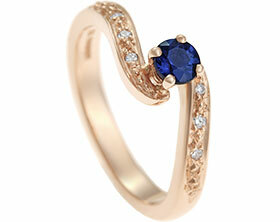 A highly polished finish completes this striking ring design.